Finding a good jewelry box is crucial to maintaining your beautiful designer jewelry by Ana Luisa. However, this may prove more difficult than you think. And it’s not because there aren’t good jewelry boxes on the market, but rather because, most probably, you don’t know what to look for and what to avoid. To help you understand the importance of the jewelry box, just think about your car. You don’t let it parked somewhere outside where snow, rain, and other elements can get to it, do you? And you also pay close attention to the garage you choose because, depending on its construction, it will help protect your car or not. It’s the same for jewelry. The jewelry box has the same purpose a garage has, and it’s a very important one. So please read further to learn how to choose the perfect jewelry box for your precious and semi precious gemstone jewelry. This is the biggest mistake women make when choosing a jewelry box. It has to match the curtains, look beautiful on your nightstand and have a design that complements the room, right? Wrong. Just like you don’t choose a garage for the color of the walls, you shouldn’t choose a jewelry box for its looks. Of course, you can find high-quality jewelry boxes that look wonderful and actually match your curtains. What we are saying is that functionality and efficiency should be the main factors when choosing a jewelry box, not the way it looks. What should the jewelry box be made of? You can find a lot of designs on the market. From plastic and metal jewelry boxes to wood and leather, there are many materials to choose from. But of all you can find on the market, we recommend wood. Due to its properties, wood insulates your jewelry and prevents moisture from ruining it. It is also durable and doesn’t interact with any metal. And yes, functionality aside, wood is also gorgeous. A jewelry box made of wood can have an artistic design and will look great in any room. What should the jewelry box look on the inside? The first thing you should do after selecting a jewelry box you like is to open it and feel the lining. It may surprise you, but the lining is very important. It should be very soft and lint-free. If you notice the lining is abrasive or doesn’t feel soft at all, then you shouldn’t buy the jewelry box. More fragile jewelry pieces will easily get scratched by an abrasive lining which defies the purpose of a jewelry box. Regarding the compartments, you should always have your jewelry collection in mind. Make sure it features enough slots for your rings and drawers for your bracelets. Also look at the space inside and try to imagine where you will put your earrings and whether they would sit comfortably there. For necklaces, we recommend either an armoire (an upright jewelry box) or a necklace tree. The best way to store your necklaces is to hang them so that they don’t get tangled. Should the jewelry box feature a lock? Ideally, yes. Of course, a lock won’t prevent burglars from removing it completely from your home, but we hope you have alarms and other security features. But a lock will prevent your kids from taking your jewelry and playing with it or worse, getting hurt by it. There are many jewelry boxes that feature childproof locks so, if you have a kid or plan to have one in the near future, you should consider one of those. Can I still consider the design of the jewelry box? We know you were hoping to get to this part, so yes. But only after you consider its material, lining, compartments, and lock. If all of the above meet the requirements, then, yes, you should also think about how the jewelry box will look in your home. You can think of the design as an extra factor that will help you choose between a couple of high-quality jewelry boxes. You have selected four or five that meet the requirements, so now it’s up to the way they look. It is normal to want something pretty because, besides a functional role, the jewelry box is also a décor item. Try to imagine where you will place it and how it will look like in your house. Choose a design you love because it will only prompt you to use it more often. 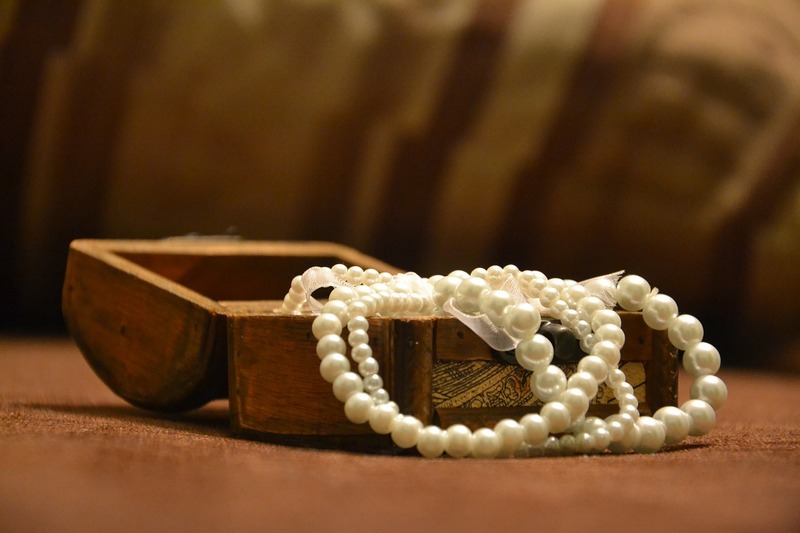 If you choose a jewelry box that you hate, you will discover that, subconsciously, you will “forget” to use it and leave your jewelry lying around. For more jewelry advice and the best fashion tips, continue on our blog. To see our unique jewelry collections, visit Ana Luisa online jewelry shop.